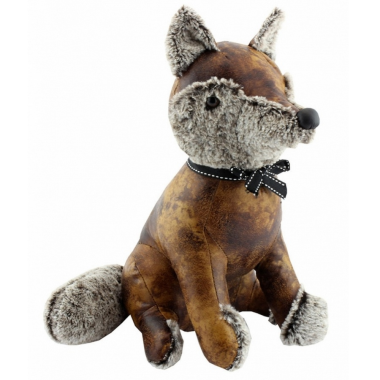 Get foxy with this cute fox doorstop! Made from faux leather with 'fur' trims, this will make the perfect present for the wildlife lover in your family. Keep your creaky doors open or closed with the help from Mr Fox! Chunky and heavy enough to cope with the best country doors - measures approximately 30cms tall.